Hohosearch.com – How to remove? 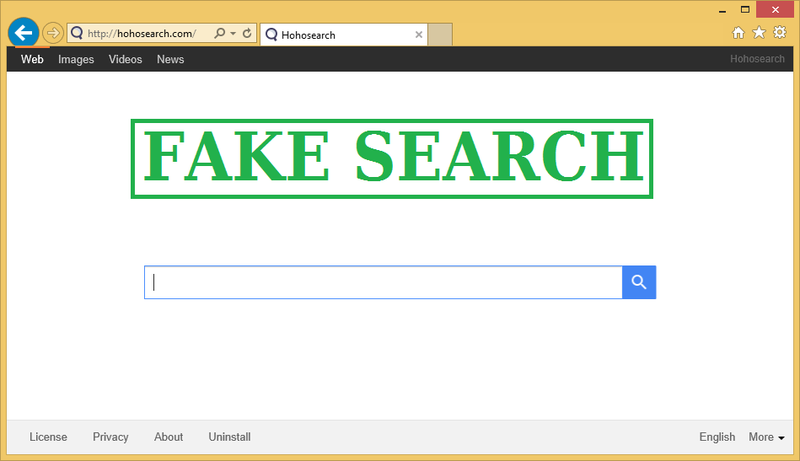 Hohosearch.com is a browser hijacker that will change the settings of Internet Explorer, Google Chrome, and Mozilla Firefox without a user’s consent. If this has already happened to you, make sure you delete Hohosearch.com as soon as possible because this search engine is not trustworthy at all even though it seems to be so at first sight. According to specialists, this search engine is created to advertise third-party web pages only, so users should not use it as a default search engine to find the relevant information on the web. This is especially true if users do not want to cause harm to their systems. It might seem to be quite difficult to uninstall Hohosearch.com at first sight; however, we are going to help you with that in this article and we are sure that you will be to implement the Hohosearch.com removal yourself by the end of this article. Even though Hohosearch.com looks like a regular search engine, specialists say that it is mainly used to promote third-party web pages. This explains why it shows sponsored search results and presents users with all kinds of advertisements. In order to increase the revenue of these third-party web pages, Hohosearch.com redirects users to them. This might happen after a user clicks on any of the search results he/she sees after entering the keyword into the search box. Nobody knows what third-party websites contain, and we are sure that the creators of Hohosearch.com does not care about either. Unfortunately, this means that you might end up on a very bad web page that contains malicious software. What is more, it is very likely that you will notice that your browser is slower than usually and it takes more time for it to open websites. In order not to experience such an inconvenience, remove Hohosearch.com from your browsers without further consideration. This will help you to protect the system from harm as well. How did Hohosearch.com enter my PC? Hohosearch.com usually enters systems when users install some kind of free programs from the Internet, usually file-sharing websites and torrents. Of course, this browser hijacker might be downloaded and installed by other serious infections existing on your computer as well. Luckily, you can protect your system from harm even though it seems like a huge job. All you need to do is to install a security tool on the system and keep it there all the time. It is advisable not to download free programs from third-party web pages as well. If you do as we say, you will not need to delete Hohosearch.com or any other similar threat. How to remove Hohosearch.com from browsers? If you wish to implement the manual Hohosearch.com removal, you need to reset browsers or simply change your homepage and search engine. You might also need to erase extensions in such a case. If this is too difficult for you, you can also go for the automatic Hohosearch.com removal. In other words, you need to download and scan the system with a reliable antimalware/antispyware tool.